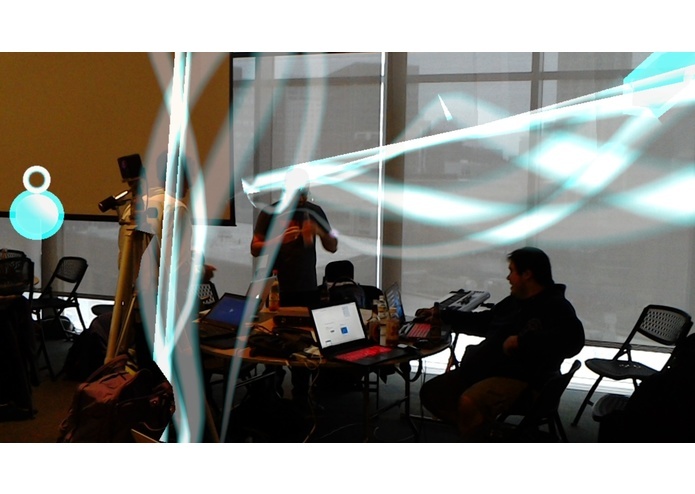 Augmented Reality meets spatially aware audio painting and sequencing tool for artists. We felt inspired to create a tool that would allow an artist to paint music in a real world space. To not only hear the music that they create but also to see it. We built it primarily within Unity and Visual Studio, utilizing Blender for modelling, and Logic Pro X for midi control and pre processing of audio clips. https://vimeo.com/195568207 -- raw footage captured during monday demonstrations. 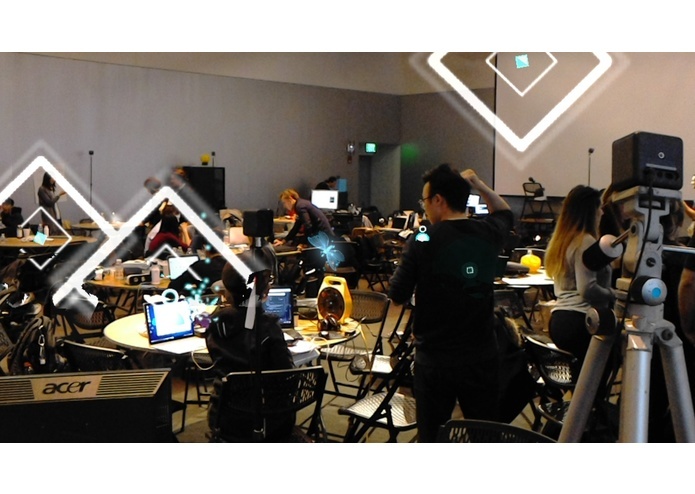 The root of this project was an Idea I came up with at about 4am at the previous hololens hackathon. It's been stuck in my head and I really wanted to make it a reality. I was the primary developer, and hololens engineer. I was working in Unity and C# to help create the immersive audible and visual experience that I imagined. I worked on the graphics, I created UI elements, animations, particle effects. Sweet butterflies.